This was the Performance Coaches' most challenging week yet in their Trading Combine®. They gave $857.84 back to the market - lowering their balance to $49,726.31. That puts them $273.69 under their initial starting balance and $729.31 away from their Trailing Max Drawdown. Here's their weekly video recap where they discuss what they did right, what they're struggling with and where the challenge stands. 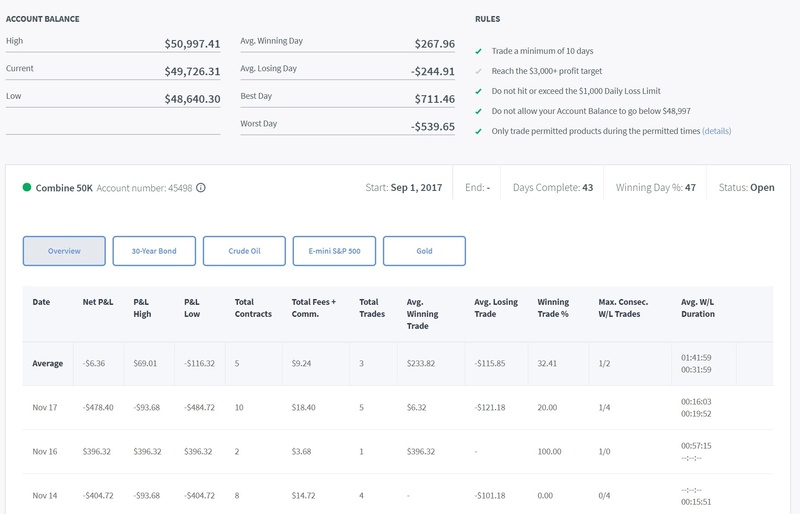 Think you have the profit potential and risk management to trade $30K to $150K of our money? Total performance for the day, including fees and commissions: -$478.40. Balance is $49,726.31. For more, check out their Trading Combine dashboard below.